An Italian militant who was convicted of murder in his home country nearly three decades ago has been arrested in Bolivia. The Italian government sent an aircraft to pick up Cesare Battisti, who was captured by Bolivian police working with Italian agents on the ground in Santa Cruz de La Sierra, Italian police said. The 64-year-old had been living in Brazil for years, but Brazil’s outgoing president signed a decree last month ordering his extradition, apparently leading to Battisti’s latest effort to elude authorities. 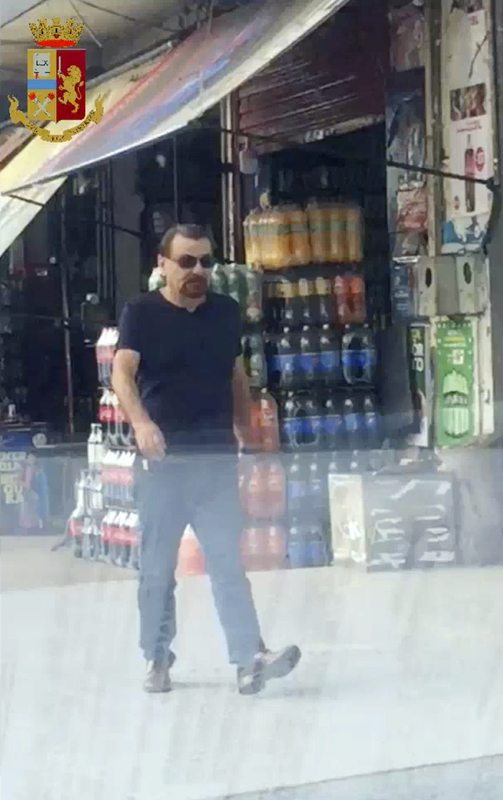 Italian police released a video of Battisti they said was taken hours before his capture, showing him seemingly oblivious to surveillance cameras tracking him as he walked casually down the street in jeans, a blue T-shirt and sunglasses. A subsequent image showed Battisti’s mug shot under the seal of the Bolivian police. “Cesare Battisti’s long flight is over,” justice minister Alfonso Buonafede declared, adding that he would be taken to Rome’s Rebibbia prison as soon as he landed in Italy. Italian Premier Giuseppe Conte said Italy, and the families of Battisti’s victims, had waited too long for justice. Italian interior minister Matteo Salvini called Battisti a “delinquent who doesn’t deserve to live comfortably on the beach but rather to finish his days in prison”. Battisti escaped from an Italian prison in 1981 while awaiting trial on four counts of murder allegedly committed when he was a member of the Armed Proletarians for Communism. He was convicted in absentia in 1990 and faces a life term for the deaths of two police officers, a jeweller and a butcher. He has acknowledged membership in the group but has denied killing anyone and has painted himself as a political refugee. After initially fleeing to Mexico, he then went to France, where he joined dozens of Italian militants who enjoyed official protection from the French government. Like Battisti, they fled during Italy’s “years of lead”, a bloody and turbulent era during the 1970s and 1980s when militants carried out bombings, assassinations and other violent acts to try to bring down the Italian government. After political winds shifted in France, Battisti fled to Brazil in 2004 to avoid being extradited. He was arrested in Rio de Janeiro in 2007, prompting the Italian government to request that he be handed over. But former Brazilian President Luiz Inacio Lula da Silva granted him asylum in 2010. Battisti was eventually released from jail but was arrested again in 2017 after he was caught trying to cross the Brazil-Bolivia border carrying undeclared cash. He was released after a few days.